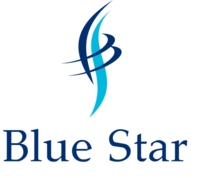 Blue Star Cleaning and Janitorial Services offers supreme commercial cleaning services for Bay Area businesses, schools, and medical facilities. We are proud of every space we clean, leaving them spotless and keeping you healthy. ​​OUR CLIENTS ALWAYS COME FIRST! "Offering Professional Cleaning Services Since 2002"
We are not a franchised. ​Our janitorial service providers are all highly-skilled, and they are all capable of rendering top-notch cleaning service at the most budget friendly costs. Our qualified staff can provide you with a customized cleaning program to meet the exact needs of your facility.